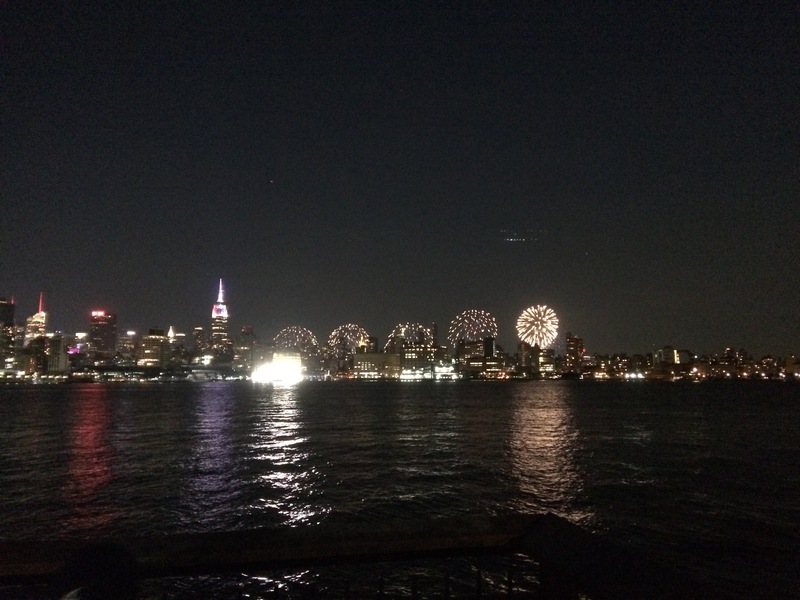 We spent our fifth fourth of July at home in Hoboken (following the first two in our old Upper East side apartment, one in England and last year in Montana). Various plans and invitations were considered but in the end we had a lazy day doing pretty much nothing, other than cooking a hearty dinner of ribs, corn, beans and cornbread. After a suitable pause for digestion, we waddled out to see if we could see any fireworks. 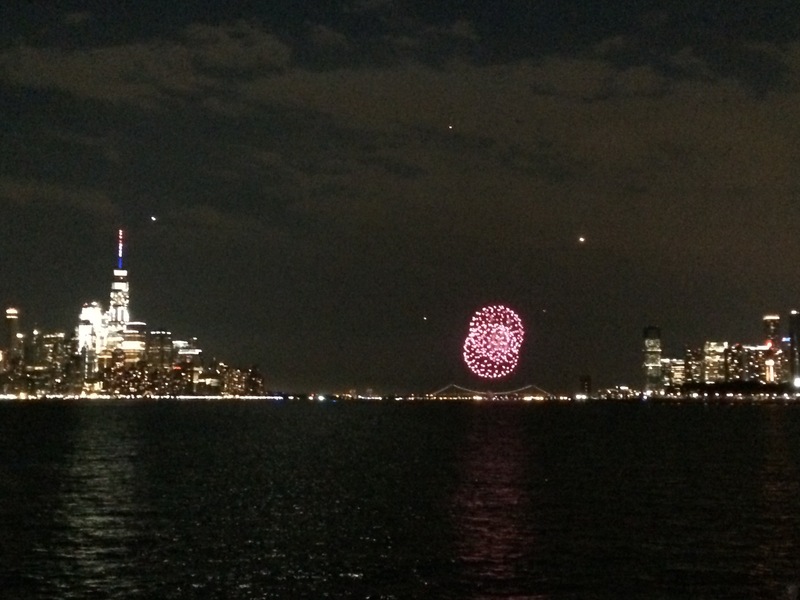 This year’s massive Manhattan display was taking place on the opposite side of the city, so we weren’t too optimistic about seeing much of it, but we were hopeful that the Jersey City display a little further down the Hudson might be visible from the Hoboken waterfront. In the end, we saw a good amount of the Manhattan show exploding dramatically above the skyline, AND had an excellent, if distant, view of the Jersey City ones too. It was a little hard to choose where to focus, as the shows were taking place simultaneously in different directions, but what a problem to have! This entry was posted in Living and tagged fireworks, Fourth of July by Emma Davidson. Bookmark the permalink.